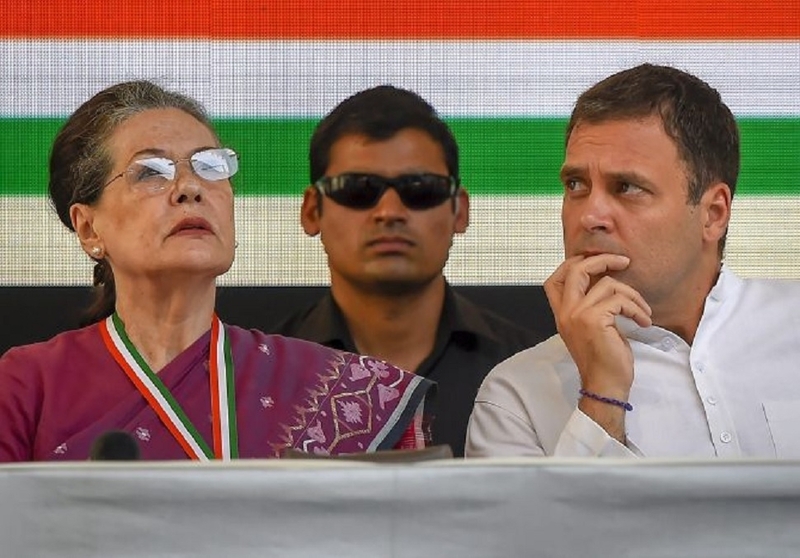 TWO of the promises made in the Congress party’s election manifesto pertaining to amendment of the Armed Forces Special Powers Act (AFSPA) and the Sedition laws indicate the dangerous way the party is tilting just to capture certain vote-banks. Other promises such as filling up of 22 lakh vacancies in the Government or offering farmers a debt-free life are okay by themselves, but the ones pertaining to the AFSPA and Sedition laws indicate that the party is trying to woo certain sections of the society with strange political ideas. Both these promises deal mostly with areas such as Kashmir where the deployment of the Armed Forces is regulated by the AFSPA and countless cases of sedition are going on in the courts because of the indulgence of certain elements in anti-national activities. One of the thoughts that reportedly emerged from the Congress folds was that the party wanted to alter the tag of what it called ‘hard state’. This point shows how the party is readying itself to cajole the society’s certain sections some of whose members might have faced a tough treatment from the administration for their alleged involvement in certain activities. This very idea that a major political party is trying to project itself as one eager to accommodate certain elements by way of compromise even with security imperatives, is unacceptable. Even an iota of truth in this may prove dangerous. For decades, the Government has taken resort to the Armed Forces Special Powers Act in security-sensitive areas such as Jammu and Kashmir or North-Eastern States where insurgency and other anti-national activities are always witnessed. From time to time, demand crops up from some politically-motivated sections seeking a total or partial withdrawal of the AFSPA. The very nature of the demand is obvious and the Government has often thought many times over before it takes any decision in this regard. In most cases, the Government has refused to concede the demand for obvious reasons. Among other demands from these areas is also one seeking a total or partial withdrawal of Armed Forces deployed for control of undesirable activities. These demands seek reduction or dilution of the State’s stiff control of situation in certain areas, something which no Government will ever agree to do under any circumstances. More or less similar is the idea of the demand to have the Sedition laws amended. What does the Congress party’s promise in this regard indicate? Plainly, it means, the party wants to go soft on certain elements whose activities may not be coming strictly under the category of proper, lawful, moral and ethical actions. This very thought sends shudders down the spine. In fact, during its long stints in power, the Congress party has shown various levels of leniency towards many undesirable elements. Despite this, its Governments have used the AFSPA fairly frequently in security-sensitive areas, particularly upon the insistence of the Armed Forces. Yet, now for fulfillment of electoral goals, the Congress party appears willing to make amends to accommodate many undesirable elements and their activities. This is strange by any standard. In the past couple of years, the Congress party has often sought a softer approach to issues related to Jammu and Kashmir in particular and other security-sensitive areas in general. It has often criticised the Government for acting tough against certain elements indulging in anti-national activities. So brazen did the party become on occasions that it derided the Armed Forces for taking action against hordes of people indulging in stone pelting on security personnel during anti-insurgency operations. Such a political stance is not in the best interest of the country, and the promises to amend the AFSPA and Sedition laws give rise to a strong suspicion about its method and manner of thought on sensitive issues of critical national interest.